The other day, I was listening to a radio show on the science of losing weight. 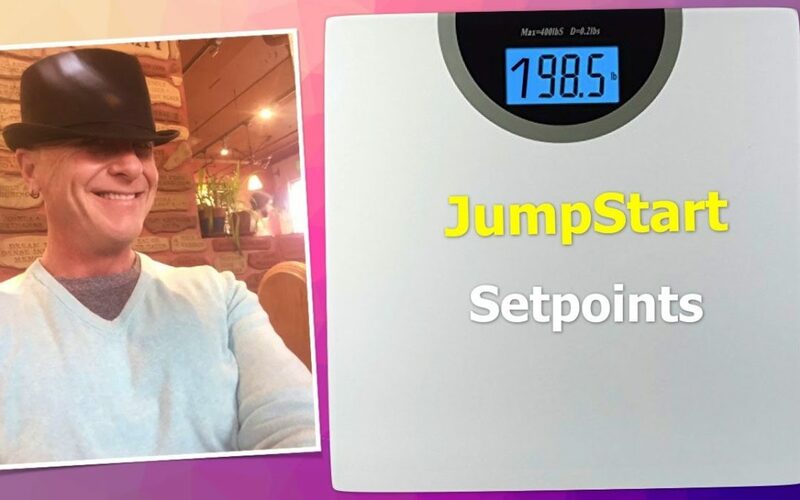 A weight loss expert from Harvard University spoke at length about weight “set points” — those internal thermostats our body just seem to magically gravitate toward. It occurred to me that we have set points in EVERY area of our life. I’ll be this happy — no more, no less. I’ll be this wealthy — no more, no less. I’ll be this patient — no more, no less. I’ll be this tolerant — no more, no less. I’ll be this flamboyant — no more, no less. Open your mind to the idea that you, yes even perfect YOU, can grow, expand, and become even more. Together let’s reset that dial!